Did Anton Chekhov write tragedies? Comedies? Dramas? 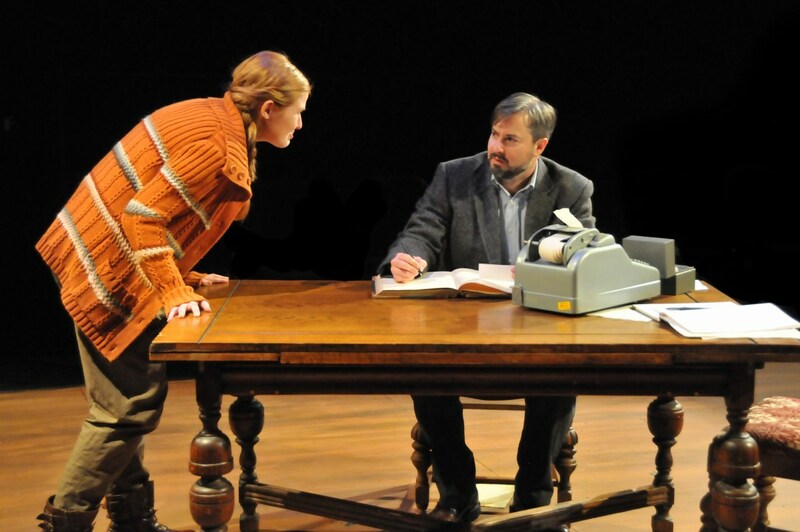 Dave Sikula has taken a very deep dive into Chekhov’s legacy, writing translations of several of his major works, including The Pear’s current offering, Uncle Vanya. As Sikula noted in a 2013 San Francisco Theater Pub blog post while working on this translation, Chekhov thought his plays were comedies, and he tends to agree with that assessment. Stanislavski, from Chekhov’s time, disagreed and thought his plays were heavy dramas of the darkest order, which is reputed to have driven Chekhov to distraction. So what is Uncle Vanya? The Pear’s production of Sikula’s translation, directed by Jeffrey Lo, has bites of everything. In some ways, Uncle Vanya could be viewed as a slice of rural Russian life. The story (dare I say action) takes place on an estate somewhere in Russia. Time spans three seasons excluding the oppressive Russian winter. As is often the case in Chekhov stories, we witness life. Nothing really happens, but life goes on. A description of the characters pretty much tells the story. Marina (Carolyn Ford Compton) is a retired nurse who lives on the property. She’s well acquainted with the doctor, Mikhail Astrov (Jeffrey Bracco), possibly from days of yore. Astrov is Chekhov’s alter ego, a doctor with a keen interest in bettering the peasants’ lives as well as showing concern for the environment. Ivan (Vanya) Voinitsky (Stephen Muterspaugh) manages the estate and comments on his, and others’, lives. Maria Voinitskaya (Judith Miller) is Vanya’s mother who also lives on the estate, and she is despised by her son for being consumed by her reading and ignoring all else. Aleksandr Serebryakov (Steve Lambert) is a retired professor who is staying at the estate, and he’s Vanya’s former brother-in-law. He and his much younger second wife, Yelena Serebryakova (Monique Hafen), draw their income from the estate. Yelena also garners the attention of both the doctor and Vanya. Sonya Serebryakova (April Culver) is the professor’s daughter by his first, now deceased, wife and lives on the estate while helping her Uncle Vanya run it. She’s also suffering from unrequited love. Ilya “Waffles” Telyegin (Wes Gabrillo) has somehow ended up living on the estate at the behest of the family. Finally, Yakov (Daniel Stahlnecker) is the estate’s watchman. The story’s timeframe is not specified, but there’s a slight incongruity. On the one hand, it becomes apparent that travel is accomplished via horse-drawn vehicles, and perhaps trains. There are no cars in evidence. On the other hand, Tanya Finkelstein’s costume design reflects modern dress as opposed to Chekhov’s time. Janny Coté’s scenic design is simple, yet artful. It outfits a large sitting room and perhaps a porch with a swing, though no visible demarcation is apparent. A small table and chairs are next to the swing. There’s a piano inside the room, a couple of benches, a dining table and chairs, and an easy chair. An end table next to the easy chair contains several medicine bottles labeled appropriately in Russian. Past the piano, there are window frames hanging against the drape that are referenced at various times during the story. The stage is set in a “runway” configuration with audience seating on opposing sides. The first row is at stage level, with seating on risers no more than three rows deep at any point. The setup brings the whole audience so close to the action that it feels as though they are sitting with friends and watching them argue. Lo did a nice job of staging this so the actors fluidly change position. Although portions of the audience are behind the actors some of the time, the audience doesn’t feel slighted, or that they are missing anything as a result. Muterspaugh and Hafen sparkle in their scenes together. Muterspaugh’s Vanya is a force of nature. He can’t be pleased and he forcefully delivers snarky commentary bemoaning his position in life, seeing everyone else as an intrusion. Vanya is stuck, and he knows it. He’s mooning over Yelena, though she also flirts with him while keeping him at arms’ length. Muterspaugh ends up sparring with everyone at one point or another. In one instance, his fight with the professor turns farcical. The sense of realism is gone at that point, and the insanity of the situation literally explodes taking to heart Chekhov’s quote to “…never place a loaded rifle on the stage if it isn’t going to go off.” Lambert scampers behind a chair in comic fashion to hide from the madman attacking him. Hafen’s interactions with Bracco are also colorful. They have great chemistry together as they tenderly show that their characters want to yield to a mutual forbidden attraction. She playfully deflects his advances, but not entirely. Culver’s Sonya is the gentlest of the bunch, though Culver plays her with some urgency. Sonya is supposed to be struggling with her position in life, and on the estate, and Culver brings her discomfort into view. She appears honest as she describes Sonya’s frustrations and inner conflicts. Her motions mirror the emotions she’s displaying. One hallmark of the presentation of almost any Chekhov play is that each of the characters exposes their inner feelings via soliloquy. They tell us how they feel, and why they can’t do anything about it. This shows they are aware, but powerless. The piano is used on a few occasions, with both Gabrillo and Hafen playing some simple melodies. Jeff Grafton’s sound design builds on that with slightly richer Russian piano melodies covering the scene changes. The musical choices add poignancy and help to remind us that we are in Russia. The actors do not speak in dialect, but instead use their native voices and inflections. One slight distraction can result from inconsistent pronunciation of the Russian names, though that may smooth out a bit over the course of the run. 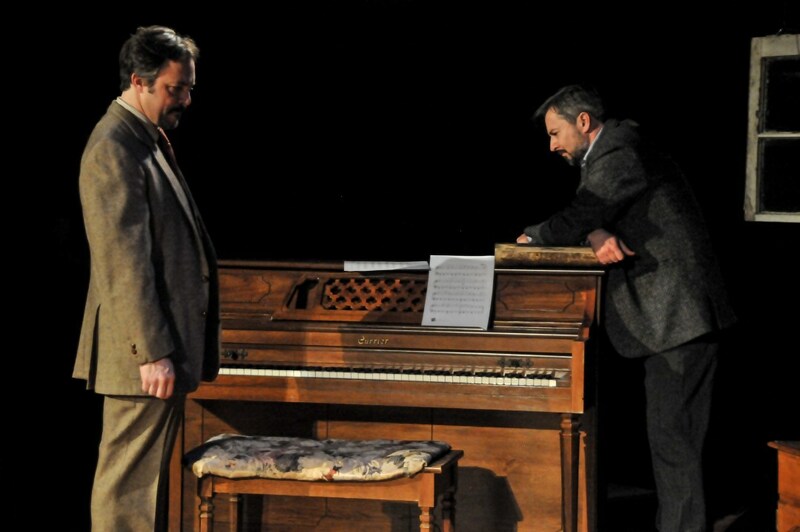 Uncle Vanya is a product of Chekhov’s time and culture. To paraphrase Sikula, the play praises simplicity as it meanders at a leisurely pace, and in the end, nothing really changes. Still, we feel as though we’ve spent time on the estate with some friends and an extended family where intense emotions and angst run high. When: Continues through 13 March 2016; Thursdays-Saturdays at 8PM, Sundays at 2PM. ← Do you or don’t you?